The Harrow School conservation area is set within Harrow-on-the-Hill to the south-west of the borough. It contains buildings that are some of the most well known in, and emblematic of Harrow. From the top of Harrow Hill, the rooftops of Old Schools and Harrow School Chapel are clearly visible. The large, dramatic buildings almost exclusively fill the conservation area and are crucial to its character. 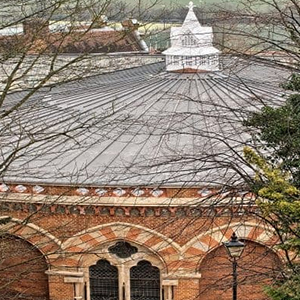 One of the most eye-catching is the semi-circular rotunda roof of the Old Speech Room built in 1819-21 as a chamber in which to encourage public speaking. Richardson Roofing used Associated Lead Mills code 5, 6 and 8 lead (the latter for gutters) for their complex refurbishment in which the original wood roll substrate of the Grade IIlisted building was also replaced with timber supplied by ALM. 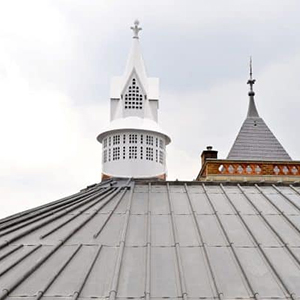 The roof required modification as the rotunda profile was unusual in that the original wood roll layering was in pattern which used the girth rather than the taper of the lead. with the splash lap facing into the fall of the roof, patterns crossed the fall line ‘worming’ and giving rise to leaks. The solution was to radiate wood rolls to natural falls from a raised tier at the pinnacle of the roof. This effectively forms a hub where the roll ends are hidden. Segments of king roll and wood rolls had to be lost and in order to offset the problem whereby laps appeared too large, the base of wood rolls was rebated and covered in lead. Lead capping was also fitted on the parapet at an angle to preserve the profile of the stonework beneath, in conjunction with a stainless steel drip. 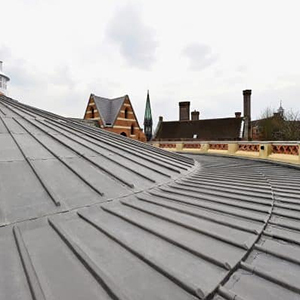 The acknowledgement of projects which reflect the very best in lead roofing irrespective of size, prompted ALM’s initial sponsorship and continued support of the Murdoch Awards. 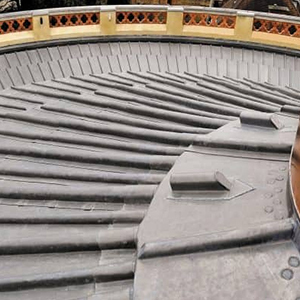 They provide a deeper insight into the best UK lead workmanship as well as the diverse ways in which rolled lead and pre-formed materials are used.